Practical Sustainability: The Cost of Cleaning Green...It's Lower Than You Think! I am the first to admit that I’ve come late to the “green” cleaning party. I’ve been buying organic groceries and local produce for years…but I’m a creature of habit and I just haven’t found the time to look for new cleaning products. And I also figured it would probably be expensive to make the switch to products that might not clean as well as what I already had on hand. If you’re like me, and you haven’t gotten around to changing your cleaning supplies, it's time to think again! We are building Sunset Green Home to LEED® for Homes standards (LEED stands for Leadership in Energy and Environmental Design). The house will have a very tight building envelope with minimal air leakage, which makes it more difficult for toxins that enter the home to find their way out. So the LEED® for Homes green building program prescribes a number of ways to maintain healthy indoor air quality (read my earlier article on indoor air quality here) - including keeping toxins from entering the home in the first place. LEED also provides strategies for keeping pollution out of our community's fresh water sources. Combine these two elements of the LEED program, and it makes no sense to bring toxic cleaning supplies into Sunset Green Home only to have them either dissipate into the air or be flushed down our sinks and toilets. With indoor air quality and clean waterways in mind, I recently set out to understand the availability of highly rated non-toxic cleaning supplies that are safer for the environment. First I took a walk down my own hall of shame and identified 10 cleaning products in my home that were given a failing grade of “F” by the Environmental Working Group (EWG), a non-profit organization whose Guide to Healthy Cleaning “analyzes toxicity and safety information relevant to human health and the environment and gives cleaners a letter grade corresponding to how well or poorly they rate.” Next, I identified a product in each of the categories represented by the products in my cleaning cupboard that had received a grade of “A” from EWG. I looked up both products on Amazon.com, converted to a unit price (for example, price per load for laundry detergent pods), and made the price comparison (I included the cost of shipping if an item was not available in the Amazon Prime subscription delivery service). I tallied things up across all of the categories using a quantity that represented my best guess at our household’s annual consumption. What I learned is that I can use "A" rated cleaning products for essentially the same total annual cost of using brand name products that receive failing grades. 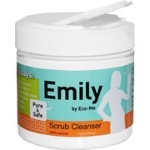 In case you’re wondering how these environmentally friendly cleaning products stack up against the competition in terms of their ability to get the job done, all but two of the “A” graded products I used for my comparison carries a rating greater than 4 out of 5 on Amazon.com. If you want to learn more about the safety and effectiveness of green cleaning products, check out organizations like Consumer Reports, the Natural Resources Defense Council, and the Environmental Working Group. In researching this article, I reached out to Peter Graham, the Chairman of the Board of Seventh Generation, one of the leading companies in the healthy cleaning products industry. He stressed that, in formulating its products, his company practices the "Precautionary Principle," telling me that Seventh Generation "will not use a chemical in our formulations unless it is proven safe." The Seventh Generation Blog explains "So what is the 'precautionary principle' all about? Basically, if an action is suspected to cause harm to the public or to the environment, those taking the action must prove that it is not harmful. That means corporations or governments must take responsibility that their products and policies do not cause harm to people or to the environment. The principle implies that there is a social responsibility to protect the public from exposure to harm." 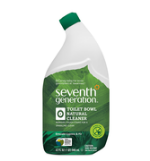 Seventh Generation is not alone, and the cleaning products industry is changing for the better. The American Cleaning Institute, whose vision is to enhance "health and the quality of life through sustainable cleaning products and practices" highlights its members' sustainability initiatives and successes and provides information on steps consumers can take to make better cleaning product purchasing and disposal decisions. So what are you waiting for? "Green" cleaning products work. They’re not more expensive. And did I mention that they’re better for human health and for the environment? So the next time you need to buy detergent or glass cleaner or multi-purpose surface wipes, make a change to green cleaning products. The environment will thank you...and so will your pocketbook!